Fenner has a broad based chancery / commercial practice with an emphasis on litigation. Whilst he has particular specialities in pensions and civil fraud and asset recovery, he also regularly acts in general litigious chancery matters as well as insolvency, insurance, property and general commercial matters. 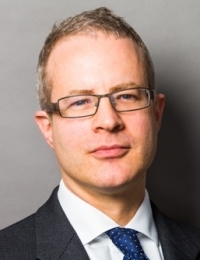 He is recommended in Chambers and Partners, The Legal 500 and Chambers Global as a leading practitioner in his fields, as well as being named in the Chambers 100: UK Bar list of the top 100 junior barristers in 2013, before he took silk in 2014. Within the commercial chancery field his work in recent years has been focused on civil fraud and dishonesty disputes, with particular emphasis on breaches of fiduciary duties and money laundering / asset recovery work. With regard to asset recovery, Fenner has extensive experience of obtaining and defending freezing, search, disclosure (including third party disclosure) and gagging orders. His clients range from international financial institutions, through regulatory bodies to individual financial traders and customers. Within the pensions field, he acts for trustees, employers, members and professionals in both litigation and advisory work. He also acts for the Pensions Regulator and various Government departments. His work has in recent years included litigation of pensions liberation and misselling claims, moral hazard claims (on both sides), professional negligence claims against actuaries and solicitors, advising on occupational pension scheme wind-ups and interpreting the statutory provisions of the PPF as well as various public sector pension schemes. Fenner practices in the following areas: general commercial litigation, civil fraud and asset tracing/recovery (including interim relief), company law (in particular breach of fiduciary duty and shareholder disputes), regulatory (pensions, financial services and legal professions), contentious trust, insolvency (both personal and corporate), professional liability, pensions and general contract disputes. Fenner Moeran read Politics and Philosophy at Bristol University, before reading for his C.P.E. at City University. He was a Hardwick Scholar and Walter Wigglesworth Scholar of Lincoln’s Inn. Contributor to Palmer on Bailment. Contributor to Tolley’s Pensions Law. Incredibly clever and very bright, he provides very practical and commercial advice.